Find out the specifications and price of the Mitsubishi L300 2017 Philippines in our comprehensive review. 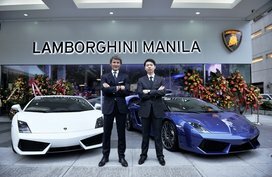 That was the time of an AUV called “Mitsubishi Cimarron”, the Toyota Tamaraw, DMG-VW Trakbayan and the Ford Fiera. Sadly, the Cimarron, which was built on '60s chassis and technology, was outdated, substandard and consequently, could not compete against such fierce rivals. What must be, must be. 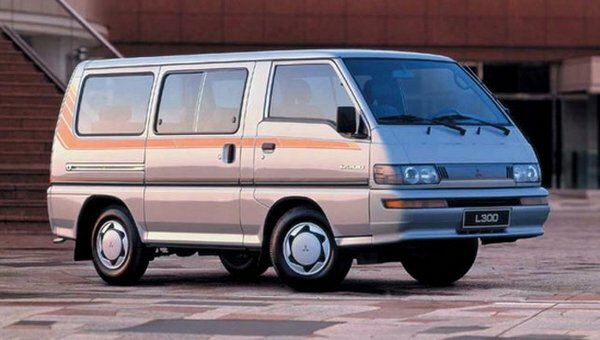 In 1983, Mitsubishi officially introduced the L300 as a viable alternative for the Cimarron and harbored a great ambiion to conquer the AUV segment market. 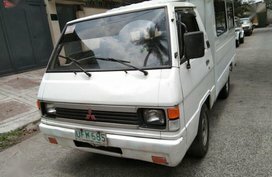 The Mitsubishi L300 was based on its sibling Mitsubishi Delica 1979 or Delivery Cargo van. 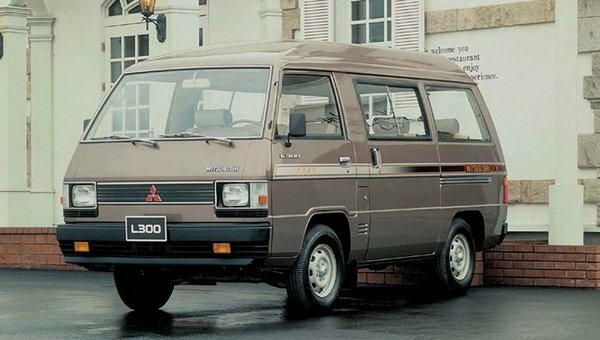 This was a forward-control van but dissimilar to the Cimarron, the L300 exudes superior flexibility and generous space over its front-engined contenders. Forward-control vehicle, literally, refers to car whose engine is under the driver’s seat. This also means that you will likely be a fried egg while driving this kind of vehicle: feel a little bit toasty and numb from vibration. More seriously, let’s imagine you were behind the wheel of a 4D56 diesel-powered car. Then, the L300 forayed into the market in the context of economic turmoil in 1980s. Extraordinarily, it overcame such a terrible decade for auto market. Even, in 1987, the Japanese marque launched its cab chassis variant of the L300 with the now-reputed FB body. The Mitsubishi L300 FB is a truck cab with a box bolted to the truck bed can help you carry everything from retail goods, commuters and even generations of Pinoy students. 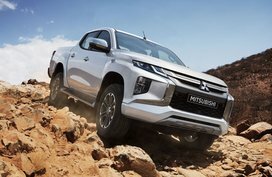 And how time flies, it successfully went through its 10-year run to make room for its successor – the Mitsubishi L300 Exceed in 1997. The FB was phased out absolutely in its home country. 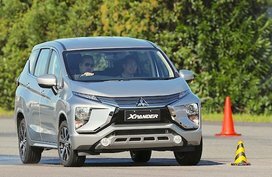 Soon, the Exceed was followed by the Mitsubishi Space Gear which was pitched as the Hyundai Starex’s contender. However, you might not know that the original L300 was still steering the market then. 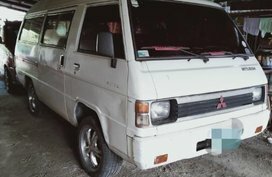 Yes, three generations of the Delica/L300 were sold at the same time in the Philippine market. 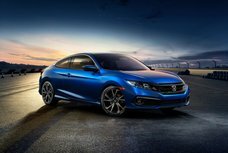 At last, the car maker decided to the put the two newer ones aside and discontinued their production. 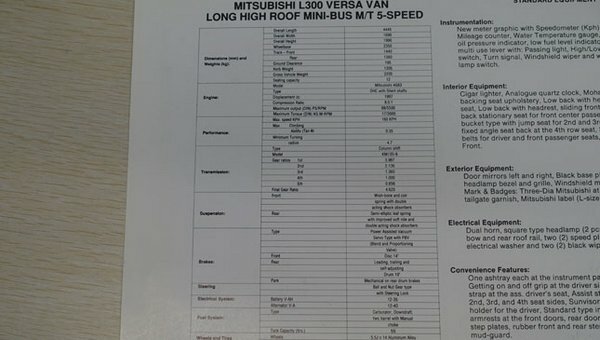 Still, you can buy an original Mitsubishi L300 at the moment. So, are you curious about its staying power? If you think it’s due to the powertrain. 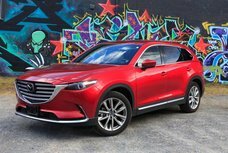 You’re absolutely wrong as its 4D56 engine just dishes out 71 hp, not to mention the fact that it’s paired with an old-school 5-speed manual gearbox leaving you only 4 useful gears on the highways. Or if you think handing is its secret weapon, it’s false again. Driving the L300 is almost like driving a bus because of truck-like steering and seating, to be honest. There are absolutely no state-of-the-art technologies in the L300, nor any exceptional ability seen in its rivals. 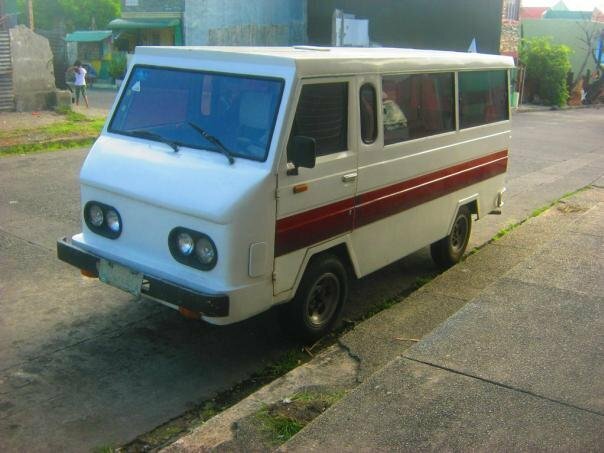 Even so, the L300 can go everywhere a 4-wheeled vehicle in the Philippines can, even more. It’s is the simplicity that make it last long, flood and idiot-proof. It has worked as an industrious worker in our shores for nearly 40 years and even, as an integral part of the country’s landscape. 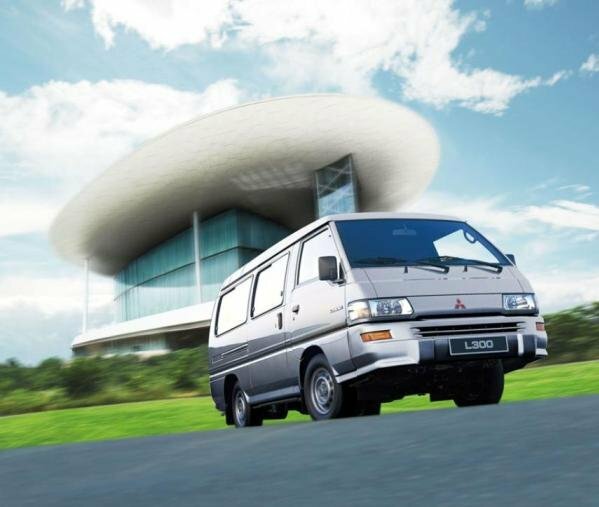 If you’re familiar to this picture, you must have had a memorable childhood when the Mitsubishi L300 was considered as the quintessential family carrier. Generally speaking, the iconic hauler is not able to pit itself against modern models. That said, every time I sit in its cabin, it’s hard to express my feeling. 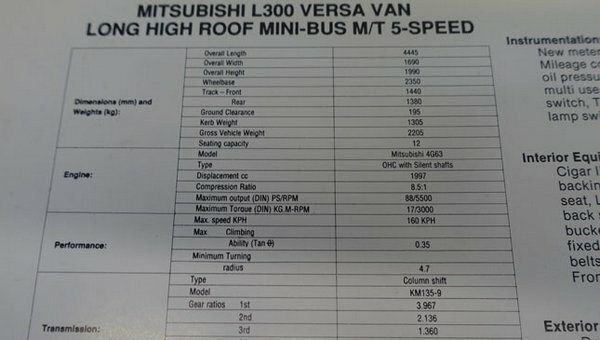 For this part, I will show you an old brochure of the ancient Mitsubishi L300 versa van long high roof mini-bus MT 5-speed which has become an unbreakable symbol. This dated L300, at that point, still featured strikingly goodies including ashtrays, front-door armrests, sun visors, an analog quartz clock as well as a parcel tray up front. With regards to performance, the van is capable of dishing our 87 hp and 160 Nm of torque. Surprisingly, it can top out at 160 km/h. Measuring more than 2 tons weigh, yet the L300 only runs on 14-inch wheels. What’s more, it’s controlled by a ball-and-nut steering wheel. Specially, you might never see a column-mounted manual shifter that was available in this van. 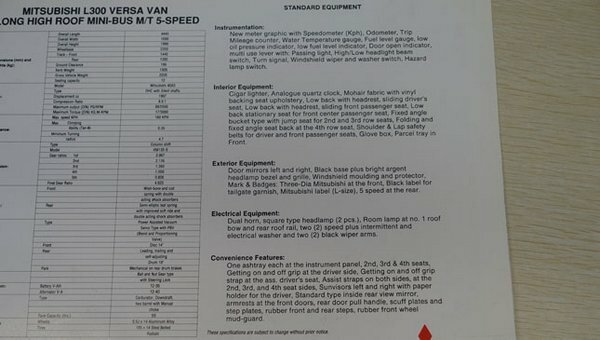 Now, let’s take a look at the specs sheet of that seasoned versa van then the today’s L300's. Price is another factor that leads to the L300’s success. 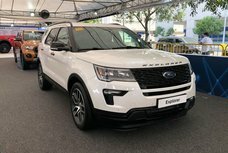 Nowadays, it can be had from ₱620,000. 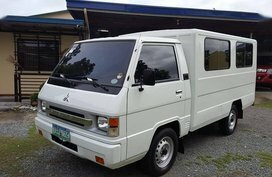 The most expensive variant is the Mitsubishi L300 Exceed CC with XV Body that is priced at ₱1,062,000; albeit pricey, it can be served as a school bus. The L300 is one of the most sought-after models in both used and new car markets. 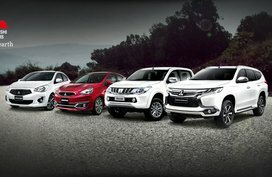 If you want to go for a new one, consult the following table of latest Mitsubishi L300 2017 price in the Philippines. 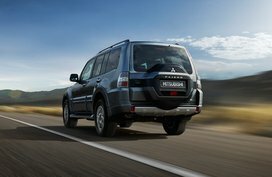 Or else, in case you prefer a used workhorse, here is the full list of Mitsubishi L300 cars for sale at different price ranges on Philkotse.com. 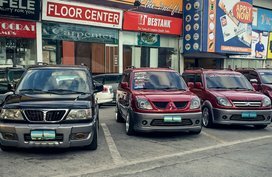 At the last moment, whether for carrying people or for business use, the Mitsubishi L300 2017 Philippines will certainly fulfill its duties. 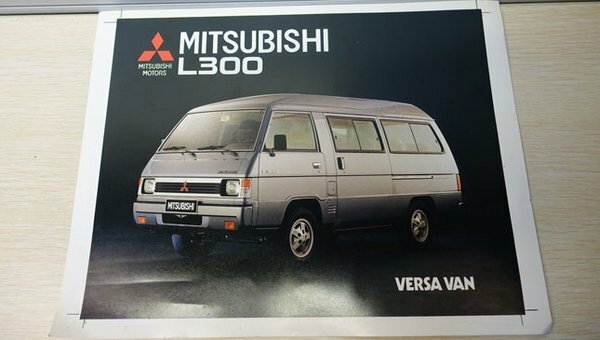 Today we have together recalled the story of the L300 as well as the L300 Versa Van of the yesteryears. Hope that image of the famous van will never fade from your mind. For me, perhaps “L300” is the name I remember the most since my childhood among a large number of vans in the market today. 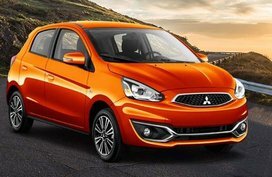 >>> To look for more full-scale reviews about other hot-selling models in the Philippines, please click here.